ChemStation offers safe solutions for all brewery needs including bottle rinsers, tunnel conveyors, lauter tun, mash tun, labelers, fillers, and floors. Custom-formulated, environmentally friendly, industrial cleaning and process chemicals, delivered to refillable containers. 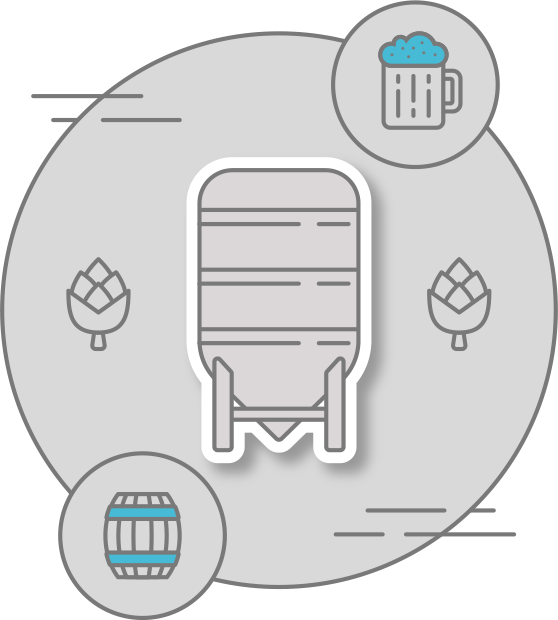 Brewery-specific alkaline cleaners designed for every cleaning process on every surface from shipping and receiving to production and packaging areas. Free-rinsing CIP and COP cleaners that are ideal for kettles, mash tuns, lauter tuns, whirlpools, wort coolers, fermenters, brite tanks, keg wash machines, and all other applicable brewing equipment. Our products are safer than powdered caustic products and do not leave any undissolved residue. Acid cleaners to clean and brighten stainless steel. A full line of sanitizers for every brewing process and facility need. High-speed line lubricants that rinse away clean and are safe for your equipment.